People are now watching videos more. The YouTube authorities say that there are now 190 million active users on YouTube. People are now watching videos more. 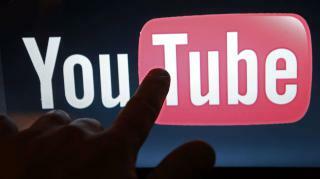 The YouTube authorities say that there are now 190 million active users on YouTube. Of these users, 18 million users watching YouTube videos on TV screen. Recently YouTube CEO Suzanne Wojciechki said this information. Youtube authorities have said that the likes of YouTube, comment, chat, etc. have increased by 60 percent now than ever before. Before long, more creators or content creators have started their business on YouTube using their mobile phones and internet connection. This information was reported in an IANS report. "We wanted to answer a lot more questions from the social networking platform," said Ojosiski. Over 600 percent more questions were answered on Twitter than ever before. In addition, much more information is available through the YouTube studio for content creators. Youtube official on the Creative Dashboard said that in February, the new dashboard started experimenting experimentally. It will also come in English as well as in other languages. Now every six million users are taking part in YouTube community posts. The popularity of live streams is increasing gradually.